Cornetto is a lexical resource for the Dutch language which combines two resources with different semantic organisations: the Dutch Wordnet with its synset organisation and the Dutch Reference Lexicon (RBN) which includes definitions, usage constraints, selectional restrictions, syntactic behaviours, illustrative contexts, etc. For more information on the contents of Cornetto, see Cornetto user documentation. Cornetto — Demo by INL, VU University and CLARIN-NL Cornetto demo. 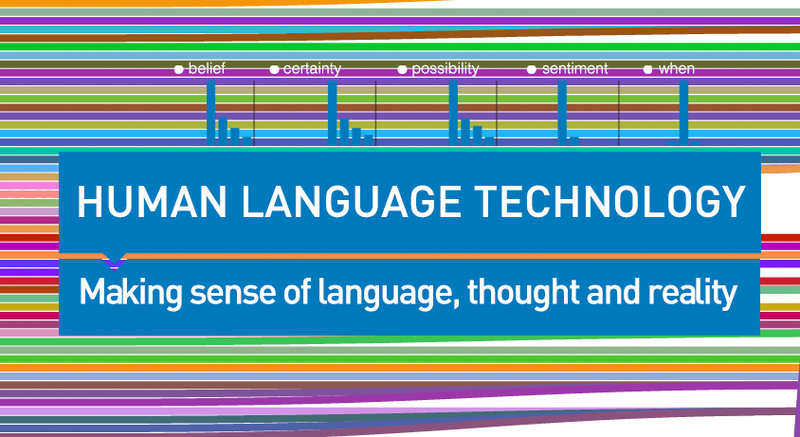 Visualization of Synset Relations of the Dutch Word Form: ‘bloem’, Part of Speech: Noun, Sense Number: 3. Cornetto is also available in XML (following the Lexicon Markup Format) and RDF (for more information, please refer to Open Source Dutch WordNet). 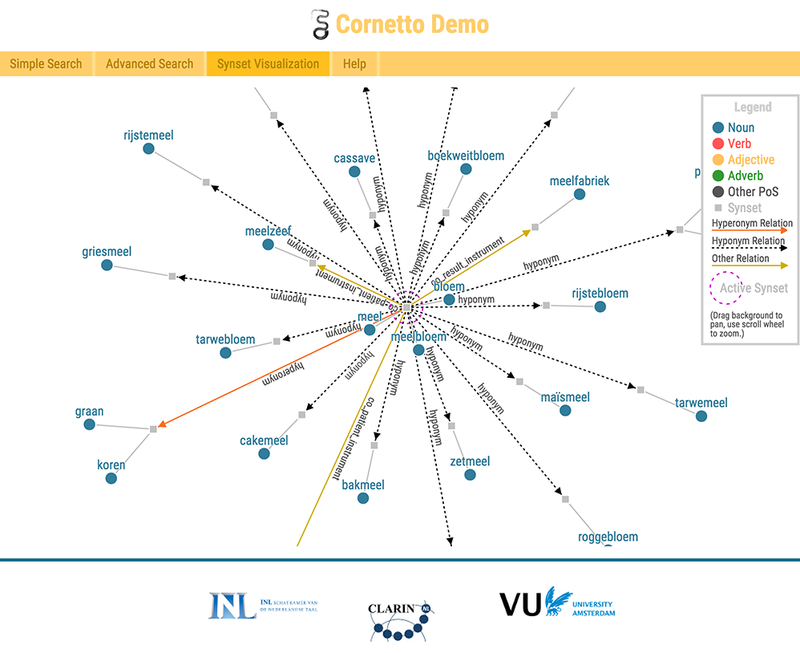 The Cornetto demo is realized as part of the Cornetto-LMF-RDF project, which has been funded by CLARIN-NL (www.clarin.nl).